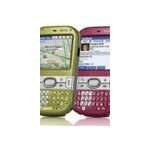 The color whirl continues, as Palm announced two new colors for the Centro on Sprint's network. 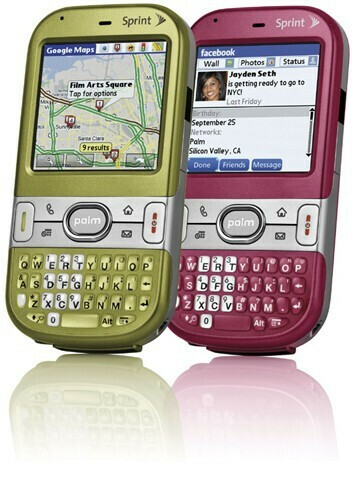 The olive green and rose colored devices will sport a new soft paint finish and 128 MB RAM (twice as much as what was initially included with the Centro). The colors are believed to be a fashion expression. “Olive green and Vibrant rose are both strong fashion colors, offering a sense of sophistication and elegance," said Leatrice Eiseman, executive director of the Pantone Color Institute®. The new devices are slated to be available for $79.99 on a two year agreement, and will be available in most stores on November 2nd. Thank goodness for the RAM upgrade! It's nice to see the PDA's getting cheaper too. Good job Sprint! The RAM upgrade is a definant improvement over the previous "model." Still waiting to for the "Centro 2" to drop though. I know I am going to get flamed by all the palm lovers, but what does Palm have to offer as a smartphone that WM or blackberry dont? Or, I guess the better question is what sets them apart from the field above the others? I honestly think that Palm is a great phone, but has struck out on todays standards of smartphones. I guess they have a market, or they wouldnt be selling as many units as they do, but what are the benefits? well the centro offers a small device with a robust portfolio of available software and a touchscreen for a low, low price. It is the obvious choice of smartphone for anyone who owns a mac but prefers a physical keyboard to touchscreen-only iphone.